Successfully Added Universal 2 DIN Car Player - 7 Inch HD, Android 6.0, WiFi, GPS, Bluetooth, RDS, 16GB ROM, Rear View Camera to your Shopping Cart. This universal 2 DIN Car Stereo wll fit most of your needs to let you enjoy your driving. With WiFi support, you’ll be able to browse the web at any time. Via the Play Store and build-in Android 6.0 OS, you can download the latest Android applications as well as basic games and videos. Therefore, your passengers will never have to be bored again while joining you for an upcoming road trip. With its 7-Inch HD display, it brings forth great visuals for you to enjoy at any time. Also you could drive whereever you want to with GPS and Navigation map, no need to worry about miss cross. You can connect you smartphone vis bluetooth to make handsfree calling to make your driving more safer. 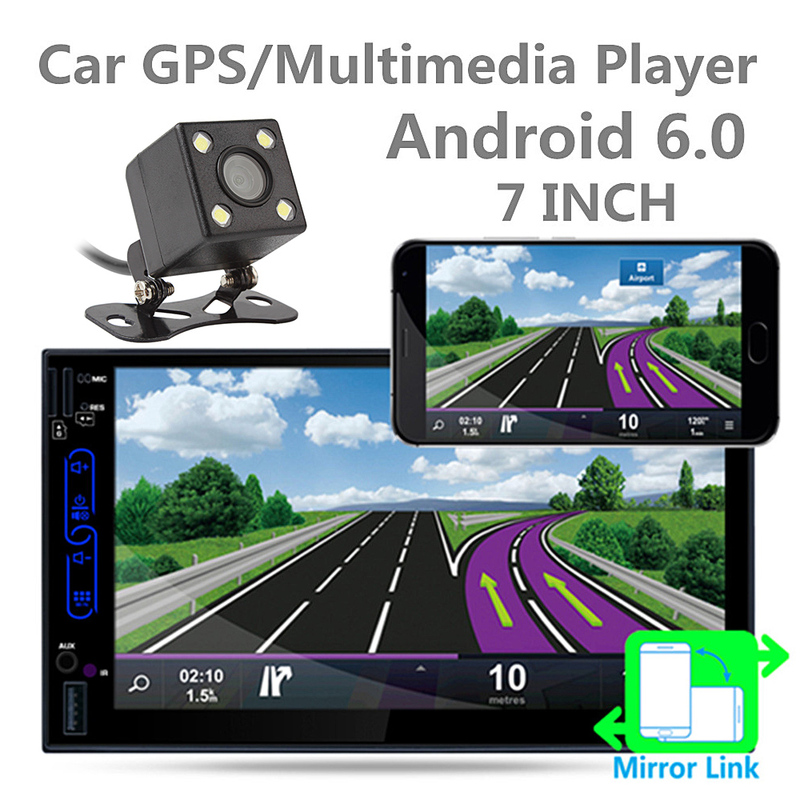 Include rear view camera to make you can see the Back Car Ruler Line on this 7 Inch car stereo and let reversing car is easy things.With high quality digital stero FM/AM tuner, you can automatic or semi-automatic exact search redio station, listen to the news,, music, just enjoy your driving time everyday.